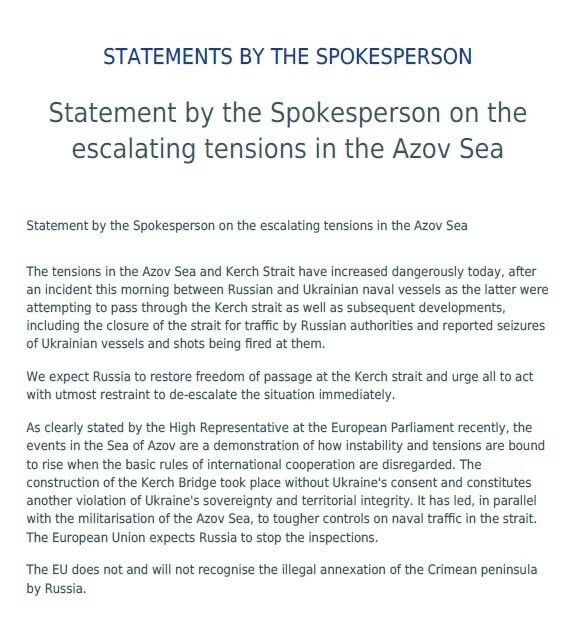 Russia opened fire and captured 3 Ukrainian naval vessels, 6 wounded and 23 crew members captured. 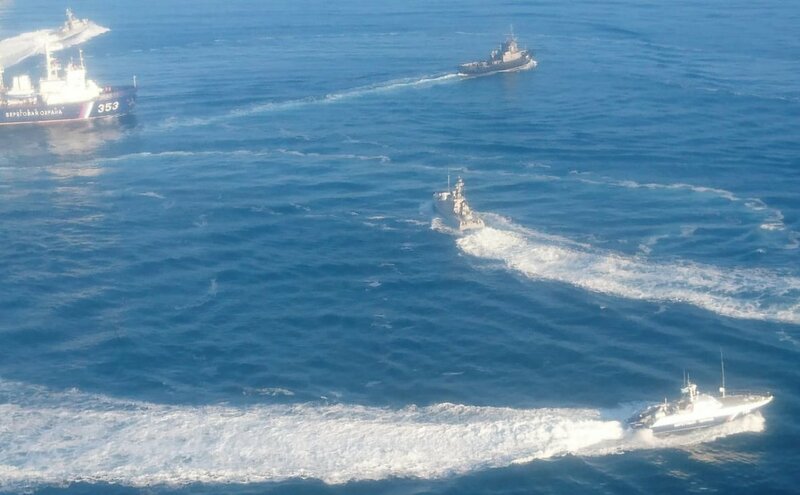 Russia’s coast guard opened fire on and seized three of Ukraine’s vessels Sunday, wounding six crew members, after a tense standoff in the Black Sea near the Crimean Peninsula, the Ukrainian navy said. Russian special forces captured two small armored artillery boats and a tugboat of the Ukrainian Navy in the Black Sea. Ukrainian Navy already officially confirmed that Russia captured two “Berdyansʹk” (P-175) and “Nikopolʹ” (P-176) Gurza-class small armored artillery boats and a raid tug A-947 “Jani Kapu”. 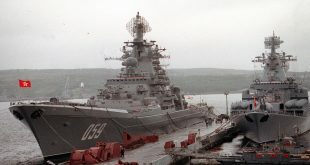 The Armed Forces of the Russian Federation opened fire on the naval vessels and are trying to take them by storm. During the storm of Ukrainian naval vessels, six sailors were injured. Radio interception, as an evidence of purposeful aggressive escalation of the situation (in the Black and Azov seas) which was ordered by military and military-political leadership of the Russian Federation. Later, press center of the Ukrainian Navy has confirmed that after leaving the 12-mile zone, Russia’s coast guard ships opened fire at Ukraine’s navy group. Damaged one “Berdyansk” small armored artillery boat. The Minister of Foreign Affairs of Lithuania, Linas Linkevicius stated that Russian actions undermine the security of the whole region. “The EU does not and will not recognize the illegal annexatexpects the Crimean peninsula by Russia,” also said in a statement.